THE CAMPING SIDE OF IOAC! We have plenty of pitches, all with excellent access to our various shower/toilet blocks. We also bring you the power of…well, power! Every pitch at the IOAC has access to an electricity supply! So even when you are “roughing it” you can have some of the comforts from home and keep those devices charged up! Each of our pitches are spacious and suited to most types of family tents. We also have a number of extra-large pitches, for those of you who like big tents! With a multitude of great restaurants and gastro pubs nearby and in town, there is something for everyone, despite what the Irish weather may throw at us! 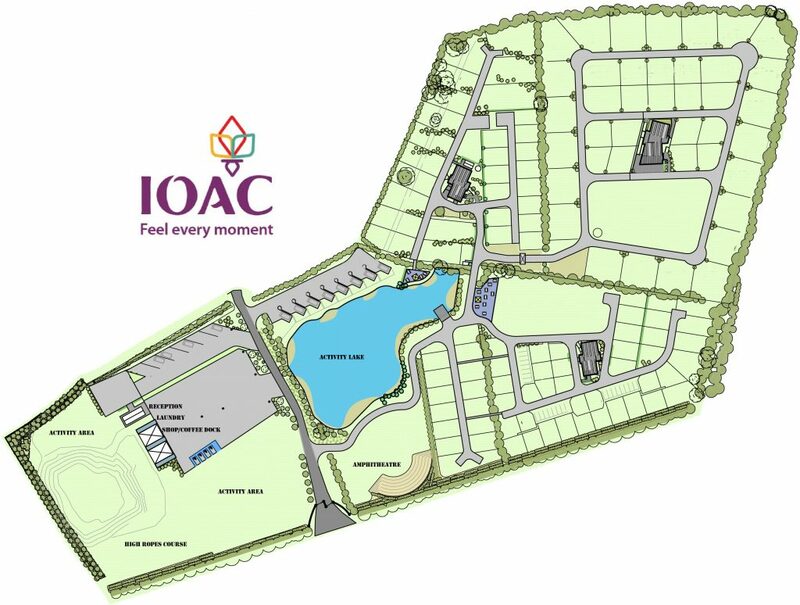 At the IOAC, we don’t just want you to camp with us! We also want you to experience a campsite like no other, with its very own Outdoor Adventure Centre right here on the campus! So, when you book your stay with us, you can also pre-book some exciting activities to keep the kids and mates (which can sometimes be the same thing!) busy and active! This is what we call the “Multi-Activity Holiday”. So, whether you are staying with us for a week or two, or even just a short stay, we can help you pack as much in as you can handle! Situated in the village of Tagoat, quite close to the Rosslare Europort (just 3km) the IOAC is also an excellent base of operations for you to experience some of Ireland’s most spectacular beaches! We are also quite close to the ancient Viking city of Wexford and perfect for accessing all that Ireland’s Ancient East can offer. Click here to book your stay with us now or contact us to answer any queries you may have! Sign up to the IOAC newsletter to receive regular updates, the latest news, exclusive special offers and more. Enter your email address to register, its that simple!